All products in your store have a label that can be scanned and recognized in Ascend. The MSRP on the product labels match the MSRP in Ascend. The correct product description comes up when you scan the label. A label audit prepares you for both a full-store inventory before your go-live with Ascend and future success with the Ascend program! 1. Remove the printer and cords (one black, two-piece power cord and one white USB cord) from the box and place next to the computer. 2. 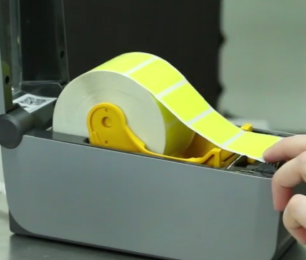 Load a roll of labels face-up into the printer. 3. Do NOT plug in the printer. Your installer will walk you through the install process for your label printer during your training session. 1. Remove the scanner, docking station (AKA cradle), battery, cords (one black, two-piece power cord and one white USB cord), and SD card from their packaging and place next to the computer. Note: the micro SD card ships separately, usually with receipt printer or labels (if you ordered any). 2. 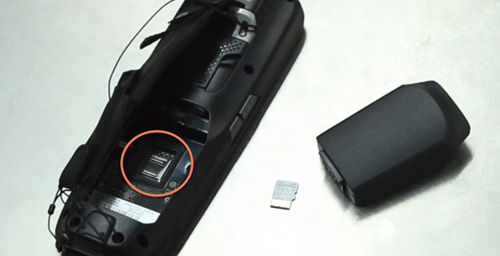 Install the SD card in the scanner, under the battery. 4. Connect the power cord to the docking station (AKA cradle) and pug it int an outlet. 5. Dock the scanner in the cradle (with the battery installed) and let it charge for 24 hours while powered off. 6. Do NOT connect the docking station to the computer. Your installer will walk you through the install process for your inventory scanner during your training session. You should have all the tools and knowledge you need to complete your label audit! The amount of time the task takes is completely up to you. We recommend having at least one employee solely dedicated to this task. Like we said, it's labor-intensive and requires a lot of focus and engery. Your installer will reach out regularly during this phase, but don't hesitate to reach out to them, if needed! A lot of the scanning process will be similar to a full-store inventory process - only a bit easier, because this is the first time you're adding product quantities to your system! So there aren't any quantity discrepencies to investigate at this time. Start by following the Two Days and One Day before inventory instructions here. When you're ready to start scanning, cradle the scanner. Once connected, Windows Mobile Device Center should open (otherwise, use the windows search bar to find Windows Mobile Device Center). The Device Center should show that a device is connected. In Ascend, select Tools > Create Handheld Device Product File > Export All Products. A prompt will display asking you to confirm the request. Click Yes. The 'indata' file will be created and uploaded to your MC2180 scanner. Then follow the scanning process noted here. 1. You are scanning a Part Number label. This will not be recognized by the MC2180. When scanning items directly into Ascend, the system will search through all SKUs, UPCs, and Part Numbers to find your product. The MC2180 will only recognize an item’s SKU or UPC. 2. The ‘indata’ file in your MC2180 needs to be updated. The product has been added to Ascend since you’ve last done this. Q: What is the Update Vendor Products utility? How do I use it? A: The Update Vendor Products utility is a feature that lets you quickly grab and import vendor product information without downloading/importing spreadsheets from the Ascend website. For this feature to work, the vendor names in your Ascend system must exactly match the names in the Update Vendor Products utility. From the Ascend Desktop, click the Update Product icon or select Tools > Update Vendor Products to launch the Update Vendor Products utility. Vendors that you have previously downloaded will be bolded. More current data is available if the Last Posted date is red. Check the box next to the desired vendor and click the Update button. A progress bar will appear while the products are being imported. Q: What is the difference between an In-Store Product and a Vendor Product? A: An In-Store Product is the actual product being sold in your store, and has a unique UPC and SKU. A Vendor Product is what you are buying from a Vendor and uses the same UPC but has a vendor-specific Part Number assigned to it. So an In-Store Product might have multiple Vendor Products attached to it, with differences in Cost, Case Quantity, etc. 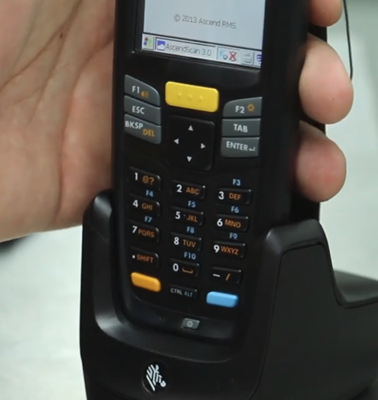 When you import Vendor Products, the UPC is used to attach ti to an In-Store Product, if one already exists. if no In-Store Product exists for that Vendor Product, Ascend will create one. See the comparision chart here. Or learn more about In-Store Products and more about Vendor Products on Ascend University. Q: How do I create products in Ascend via spreadsheet? A: Products can be added via an Excel spreadsheet import. Ascend has developed a relationship with many vendors and when Ascend receives new product information from vendors, it is posted for dealers to download. Always do a backup before importing a spreadsheet. Do not hesitate to contact the Ascend Support Line if you have any questions regarding your import! 1. Go to the Ascend website, http://www.ascendrms.com. 3. Log in to the website using the name and password your installer gave you. This displays all of the vendors that supply us with product information. Any spreadsheet that is posted here is formatted and ready to import into Ascend. 5. Search the list for the desired vendor. They are listed in alphabetical order. 6. Click on the link in the right-hand column for your desired vendor. By default they should end up in the Downloads folder, but you can save the file somewhere else (like your Desktop) if it's more convenient. 7. You can open the spreadsheet in Excel to verify that the product information is how you’d like to see it in Ascend. This is your chance to edit Description, Cost, MSRP, etc. And, if the spreadsheet contains products you will never stock, you can remove those lines from the spreadsheet (so they are not added to Ascend). 8. On the Ascend desktop, navigate to File > Import > Vendor Products. 9. Navigate to the saved Excel spreadsheet, select it, and click Open. 10. Choose the vendor from the Select Vendor window and click Select. If the vendor is not listed, click the Add button to create a new Vendor. 11. In the Select Columns to Import window, click Select All. 13. Click OK again to confirm the selected fields for import. Wait while the products are created. This may take several minutes if the vendor file is large. Once the file is imported, Ascend will prompt you with the number of lines imported. Click OK and you can move on to the next vendor! Q: How do I create a product in Ascend individually? A: You can create individual products (or Vendor Products) easily in Ascend! Check out this video to learn how. Q: When should I import a vendor product spreadsheet versus a in-store product spreadsheet? A: A vendor products spreadsheet should be used for your first initial import of a vendor into Ascend. The vendor product will either map itself to its corresponding instore product if it already exists in your system or create a new in-store product if it does not. An in-store products spreadsheet should be used for any mass edits to products that have already been created in your Ascend database. It includes all of the fields that are associated with an in-store product in Ascend. Q: Some of my vendors aren't featured on the ascend website. What should I do? A: Start by contacting your sales rep for that company and encourage them to work with Ascend! We are always willing to work directly with vendors to aquire, format, and post new product lists. But until they do connect with us, you can request a product spreadsheet from the vendor that includes Part Number, Description, UPC, Cost, MSRP, etc. That spreadsheet can be formatted for Ascend by using our Vendor Product Spreadsheet. Otherwise, you could email the spreadsheet to the Ascend team at lists@ascendrms.com and we'll format it for you. This may just take longer since we get a lot of requests!